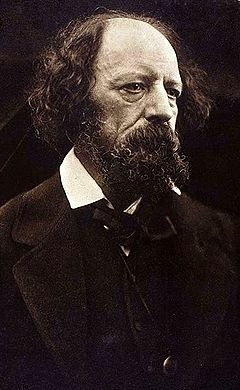 Alfred Tennyson became the most popular poet of the Victorian age. With royal patronage, his poetry helped define an era. In the Twentieth Century, his influence waned. However, he is ranked second on the list of the Oxford Dictionary of Quotations, after Shakespeare. He was born August 6th, 1809, at Somersby, Lincolnshire; he was the fourth of twelve children. 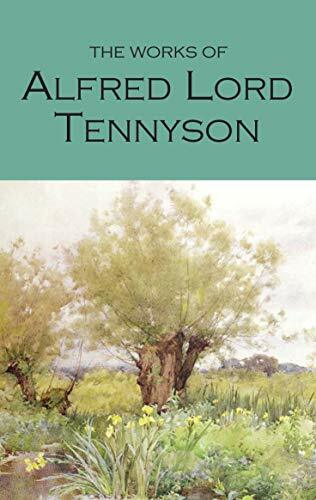 Despite having wealthy relatives, the Tennyson’s lived in relative poverty. His family had a long history of minor mental illnesses. Several brothers had epilepsy, which in Victorian times was feared because it was difficult to treat. Also his father, under the influence of heavy drinking, grew increasingly mentally unstable and physically weak. In 1827, he followed two elder brothers to Trinity College, Cambridge. This offered him an opportunity to explore his intellectual and poetic pursuits. In 1828, he won the Chancellor’s Gold Medal for his poem Timbuctoo. This helped raise his profile and reputation as a poet. He became close friends with Arthur Hallam, Hallam was an important influence on Tennyson, encouraging him in his literary endeavours. His early death in 1833, when Tennyson was just 22 was quite a shock. But it led to some of Tennyson’s most thoughtful and memorable poetry – such as: In Memoriam, Ulysses and Tithonus. After the death of Prince Albert, In Memoriam was a favourite of Queen Victoria, who requested an interview with Tennyson because she was so impressed with the poem. In 1832, he published a series of Poems. However, Tennyson was very sensitive to the mixed reviews. Criticism dissuaded him from publishing for another nine years. However, another volume of poems in 1842 was more successful both commercially and financially. Tennyson was becoming well known as a poet. He received a civil list pension and his reputation continued to grow. – Lord Tennyson, verse 3. Whilst writing poetry on the Isle of Wight, Prince Albert visited him offering his admiration for his poetry. The royal approval of Queen Victoria and Prince Albert were instrumental in cementing his reputation as the best-known poet of Victorian Britain. In 1850, he was appointed as Poet Laureate, succeeding William Wordsworth. He died on October 6, 1892, aged 83. Victorian age (1837 to 1901) The principal figures of the Victorian age and the second half of the industrial revolution. Including scientists, industrialists, artistic figures and political figures. Poets – The great poets. Including; William Blake, Emily Dickinson, John Keats, Homer, Milton, Virgil, Rumi, Rabindranath Tagore.